How to Make Turmeric Latte? – Turmeric is that delicious spice that has so many healing properties. Turmeric is known for his anti-inflammatory natural properties that are effective against lots of disease of the modern time. However, not many people know that turmeric can be used in drinks. It has the same benefits, it’s as delicious as when it is used in food and it’s an unconventional and new way of making a drink. The recipe is different from the usual coffee or latte you drink in the morning in a restaurant or coffee shop. Apart from being extremely healthy and beneficial for you, the following turmeric latte recipe is as amazingly delicious as it is healthy. You will enjoy every sip of it and your body will benefit too. Simple to prepare, tasty to consume and something new to experience. Bottoms up! *2 tsp turmeric paste – mix two tsp of turmeric powder (2 tsp.) with boiling water (1 tsp.) to get a paste. You can store the extra in the fridge. Add the almond or coconut milk in a saucepan and warm it. Do not boil it. It should be warm not boiled before the ginger, turmeric and cinnamon are added. Then, add coconut oil and heat until the mixture is melted. Foam can be made with a blender or wire whisk. Than it can be heated for a little bit to become frothy. If you want add the sweetener or raw honey. At the end you can put cinnamon on the top of the latte for decoration. 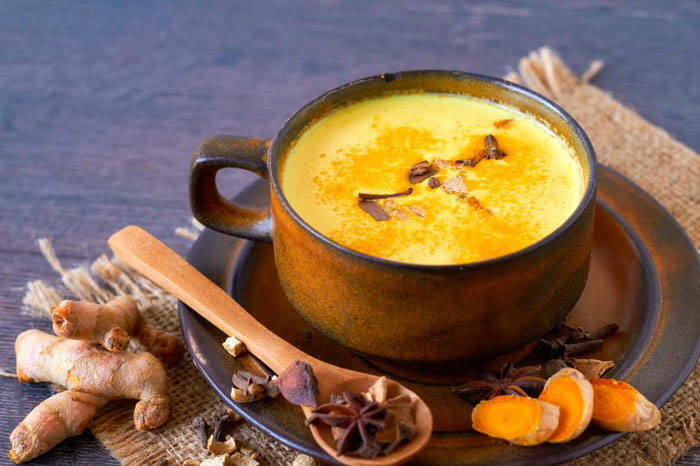 Enjoy in this unique recipe for turmeric latte! Another excellent way to make your caffee enjoyable is to add tumeric and chai. A perfect blend to warm you up in the winter and relax you. Chai is not usually found in coffee drinks, however that doesn’t spoil the taste, but it adds up to the mixture. Enjoy cold-free, flu- free days with this turmeric chai latte. Mix cloves, cardamom, ginger, allspice, cinnamon and nutmeg. Leave them aside until you steam the milk. You can heat the milk if you do not have a machine for making espresso. Mix and whisk the steamed or heated milk, espresso and ¼ tsp of the chai spice mix above. Put the foam on top of the latte and sprinkle turmeric over it. The next recipe for turmeric latte has ingredients which are enormous in value. Make a spice mix by adding cinnamon, turmeric and ginger in a small bowl. Take a large mug and add one teaspoon of the mix of spices and put hot water to cover. Stir to combine. Then, add raw honey and again stir to combine. Add little bit of coconut milk in a saucepan and heat it over a medium heat, bring it to boil by stirring constantly. If you own a coffee machine, heat and froth the coconut milk and then pour over the spice mix. 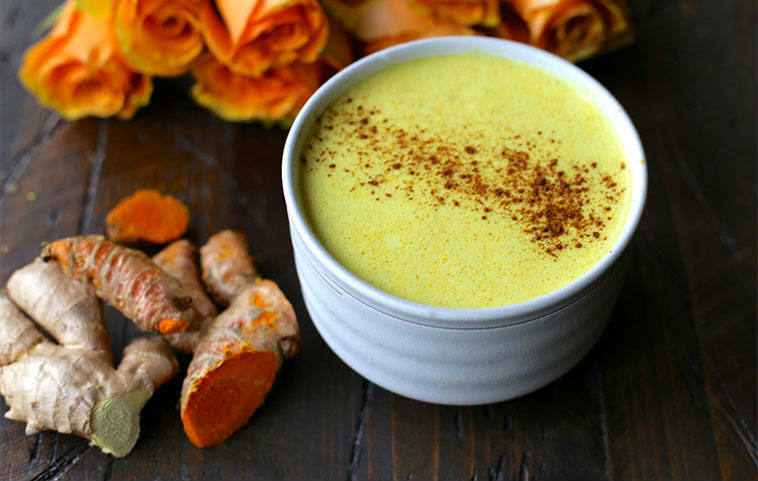 Add some cinnamon at the end and enjoy in this tasty turmeric latte recipes. All of these recipes are extremely nutritive and delicious. Turmeric and cinnamon have anti-inflammatory properties which are effective against lots of conditions and diseases. They also boost and strengthen the immune system.